When it comes to adding more living space to your home, single storey home extensions are a very popular option amongst homeowners. 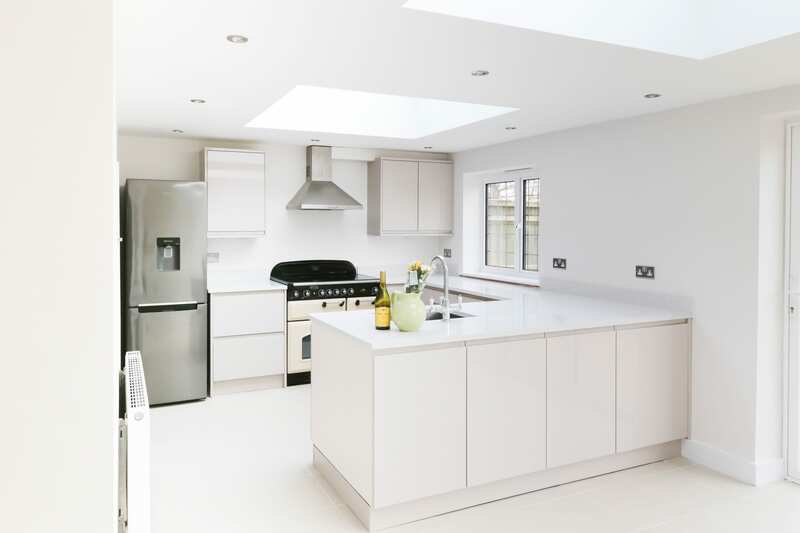 Our years of expertise and experience here at R&B Builders mean we can assist you with every aspect of planning, designing and building the perfect single storey home extension for you. 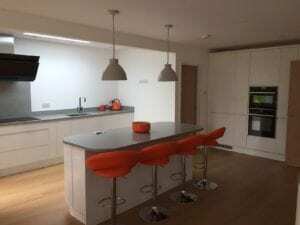 Why choose a single storey home extension? As the years go by you may find you need a little more space for your family to spread out. 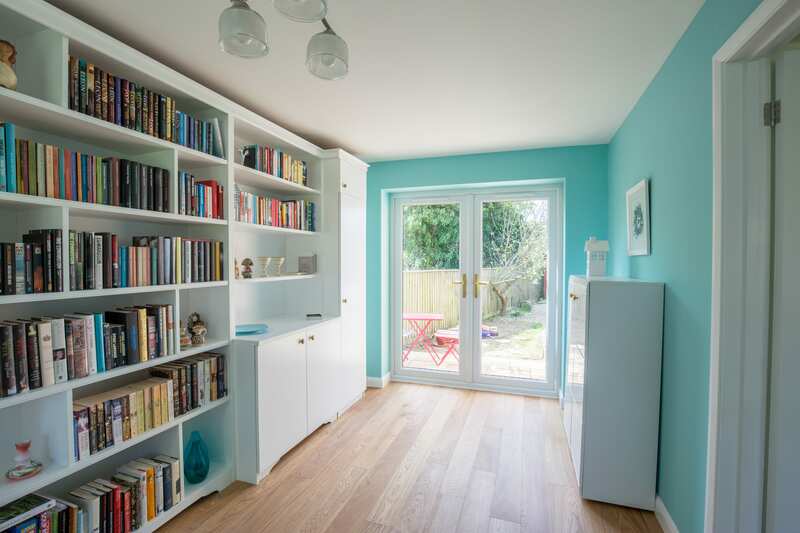 But should you move house or improve your existing one? Packing up and moving can be a massive upheaval, not to mention very expensive, which is why many people decide to stay put and extend their homes instead. Not only can a single storey extension from R&B mean boosting the value of your home, it saves you the hassle of moving too. Where on my home can a single storey extension be built? 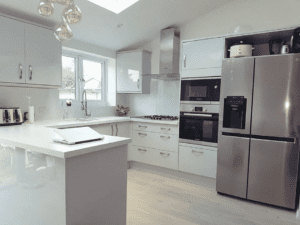 Single storey extensions are usually built on the back or side of your home. 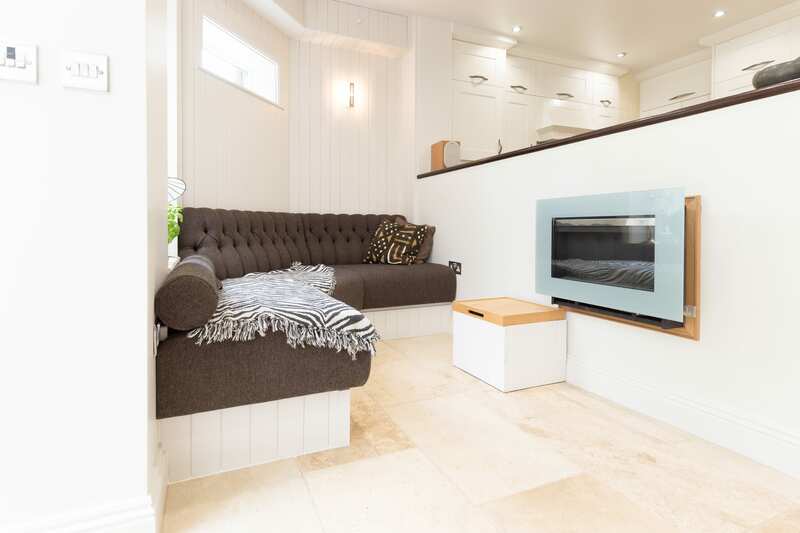 Rear extensions have become more and more popular in recent years as many people are happy to sacrifice a small amount of garden for a much bigger, open-plan living area instead. 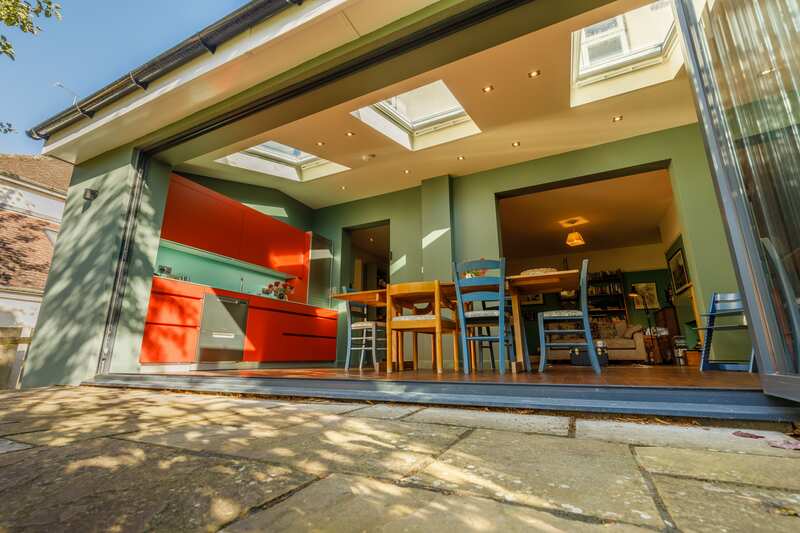 Whether your single storey extension is pitched or flat roofed, choosing the right windows to make your new space as airy and welcoming as possible is important. 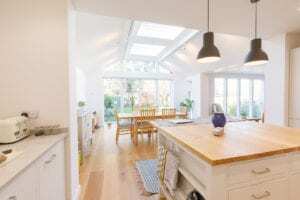 So why not add just the right amount of daylight to your extension with an energy efficient roof window from a big name brand like VELUX or RoofLITE. Not only are they modern, attractive and excellent value for money, you can save on your energy bills too. Not sure? R&B can help. Pitched roof or flat roof? 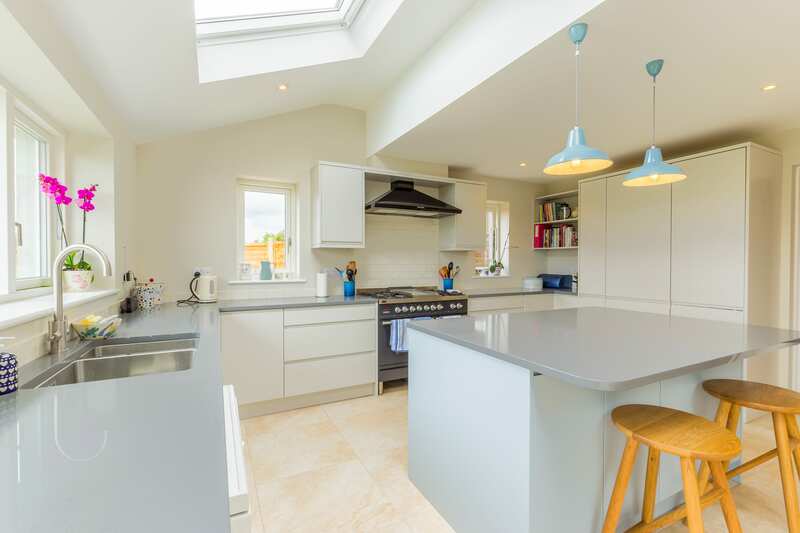 The type of roof that you go for will have a massive effect on the overall look of your extension and needs to blend in well with what’s already there. Flat roofing comes in a large range of styles but is usually much cheaper than pitched because there’s generally less building work involved. Pitched roofs, however, despite taking a little longer to construct, give a larger space as the ceiling can be higher underneath. This type of roof tends to blend in more easily with the existing building too. Another benefit of deciding on a pitched roof for your extension is that it offers a better level of insulation over a flat roof. 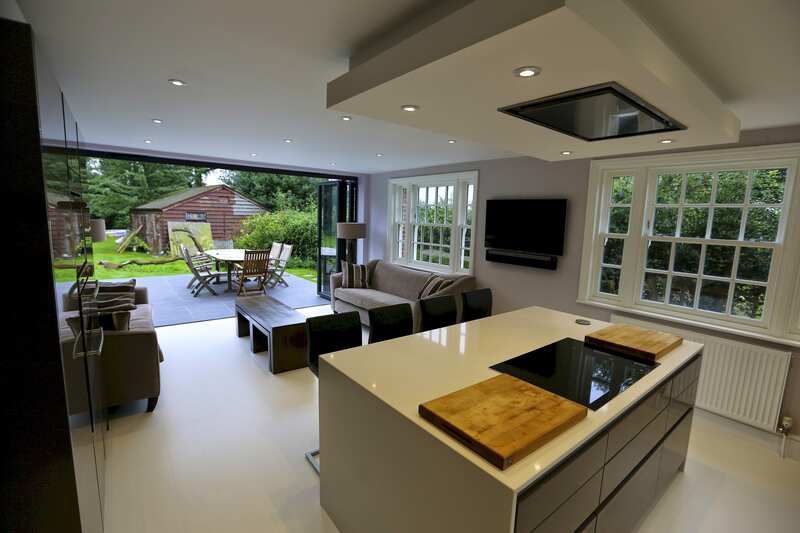 The first thing you need to think about is getting planning permission for your extension. Whether or not you need it depends on a number of factors so the best place to get started is the government’s online Planning Portal. Don’t forget to also consider the Party Wall Act which covers building work at the boundary of two properties. It’s well worth telling your neighbours about your plans before the council does – getting them on board early could save a headache later on!